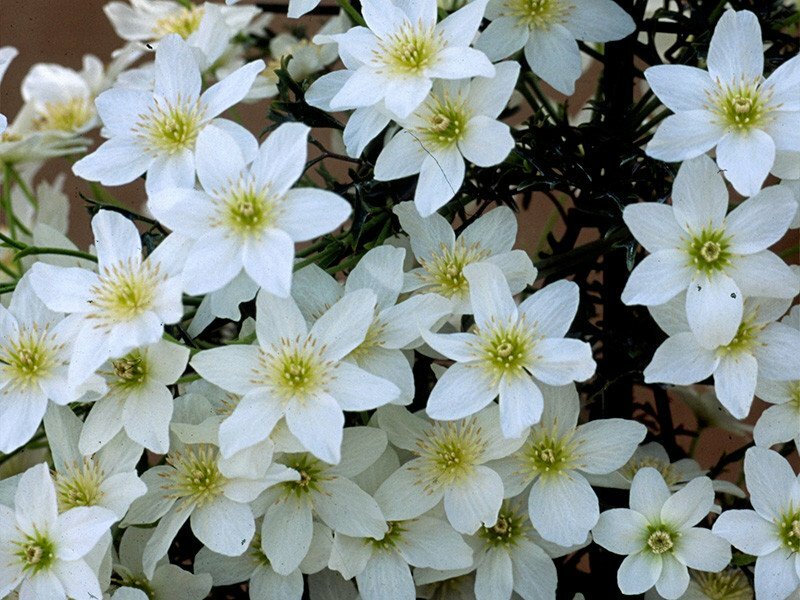 A strong vigorous evergreen clematis. The fleshy, leathery, dark green leaves are well dissected, their glossy surface making them most attractive. The open flat flowers, 7-8 cm in diameter, are borne in panicles in great profusion. They have 4-7 but mainly 6 pure white tepals, short dark yellow stamens and no styles. Compact plants suitable for growing in containers placed on the patio. No pruning required.